The Regis School of the Sacred Heart has more than 20 years of experience educating young men and boys from pre-k to middle school. 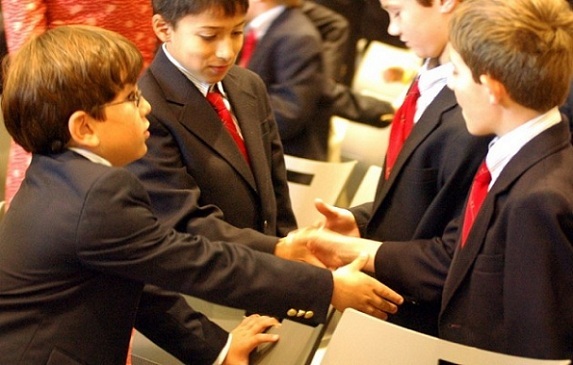 Bound to the exemplary educational standards that the National Network of Sacred Heart Schools requires from its accredited members, boys at the Regis School enjoy strong core values to inspire and build leaders for tomorrow. In fact, in 1998 the Regis School was the first school to become a full member of the National Network of Sacred Heart Schools admitted since 1962, as well as the first school founded by ‘lay people’ (non-ordained members of church) to be accepted in its history. Nonetheless, the real success of this school lies in its foundational values. Foremost, it fosters a personal and active faith in God—Regis seeks to model its students after the attitude and heart of Jesus in a spirit of respect, compassion, forgiveness and generosity. It hopes to foster an enthusiastic and comprehensive understanding of other religions, as well as inter-religious dialogue and acceptance. 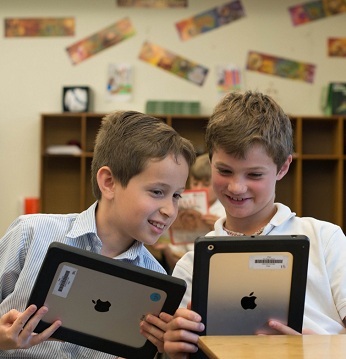 The Regis School also has a deep respect for intellectual pursuits; striving for creativity, a love of learning, an ethical, respectful comprehension and use of technology, and an emphasis on development of learning strategies for students’ individual needs. There are even ongoing professional development opportunities for faculty and staff. The building of community—a safe and welcome environment where everyone is valued, cared for, respected with clear, open communication, peacemaking, and ethnic and cultural diversity, is also high on the list of priorities. This sense of community supports and continuously teaches and challenges a young man in the last value: personal growth and an atmosphere of wise freedom, acceptance, respect and concern—it ties together the realistic understanding of his self, gifts and limits with a commitment to bettering himself in all areas of his life. The Regis School is an exemplary educational institution for young men, founded by passionate members of the Catholic community at Duchesne (Regis’s sister school), approved and blessed by Bishop Joseph A. Fiorenza and bearing the name of St. Philippine Duchesne’s favorite saint, St. John Francis Regis. With state of the art buildings and grounds, this school could be the perfect fit for your child: it seeks to help each child find his place in the world as a leader in integrity, justice, hope and compassion.